Join us for a delicious three course dinner in this historic freehouse full of rustic beams and character. With an emphasis on offering simple fresh food using local produce wherever possible, Phil and Clare Hale bring you a variety of Marine Stewardship Council approved fresh fish and steak. As a proud member of the Scottish Beef Club they are renowned for the quality of their beef, with Clare’s brother Oli, their 4th generation family butcher, supplying dry aged field to plate traceable beef. A glass of bubbly will be served on arrival. Phil & Clare Hale would like to welcome you to their beautiful 17th century coaching inn for a three course dinner @ 7.00pm for 7.30pm. 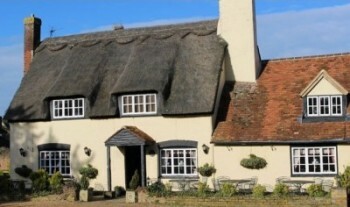 The historic freehouse is full of rustic beams and character creating a cosy, relaxing and welcoming environment. Look closely and you will often find their two cocker spaniels Rosie and Tess snuggled up by the stunning real log open fire! With an emphasis on offering simple fresh food using local produce wherever possible, they bring you a variety of Marine Stewardship Council approved fresh fish and steak. As a proud member of the Scottish Beef Club they are renowned for the quality of theirr beef, with Clare’s brother Oli, their 4th generation family butcher, supplying dry aged field to plate traceable beef. The cost of this event will include a glass of bubbly on arrival followed by a three course dinner with tea or coffee.